Hi there! It’s Wednesday and time for another installment of Your Three Year Experiment, featuring people who are sharing their own three year experiments–their plans, goals, and dreams for the next three years. Today’s post is from Claudia from Two Cup House. 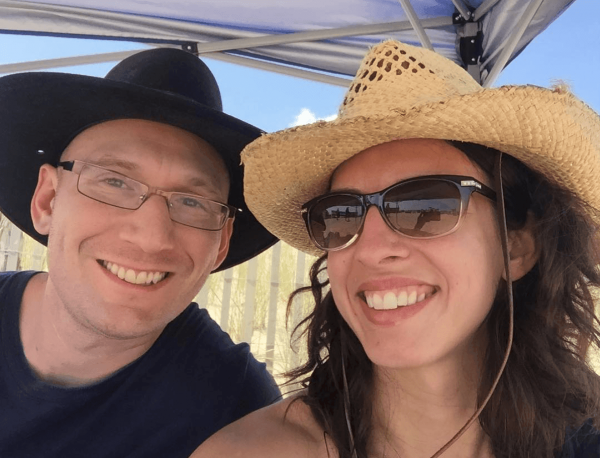 Claudia is a personal finance blogger, SEO consultant, and trainer who moved into a tiny house with her husband Garrett in order to get closer to financial independence. If you’d like to be featured in the series, send me a note! My contact info is on the Start Here page. What’s your background? Early years, education, married, kids, jobs? We grew up in different parts of Pennsylvania and have spent most of our lives here. Unsurprisingly, we’re Penn State grads. My husband, Garrett, and I live in a 500 sq ft house in Lancaster County, PA. We don’t have kids (and don’t plan to have kids). Today, we’re self-employed. We run our own marketing consulting and training business. How did you come to the realization that something needed to change in your life? At the end of 2014, we heard a radio program about personal finance. People were talking about getting out of debt, which was unusual to us. After hearing enough episodes, we sat down to take a look at our own debt and found we had more than $200,000 in debt (including a mortgage), which made us both feel quite uneasy. What will that change look like? Deciding to downsize and sell our home was the first big step. I found a full-time job. And, we started a side hustle. All of this happened within the first four months of 2015. Once we put a plan in place, we wanted to make all the big changes as fast as possible. Now, we’re pursuing some level of financial independence. We seek to invest enough to have dividends to cover our basic expenses, so we invest half of our income toward the goal. 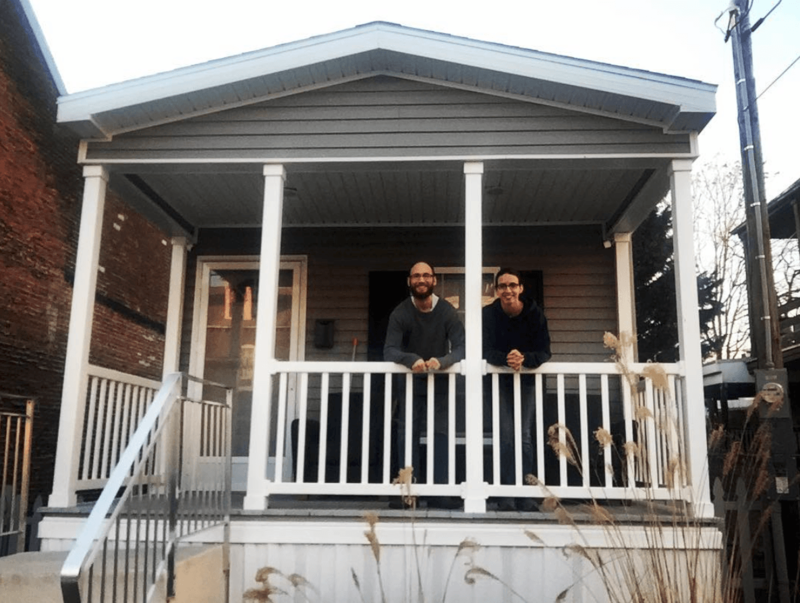 Claudia and Garrett sold their 1,500 square foot house and downsized to a 500 square foot house to pay off their debt and reduce their living expenses. They now live mortgage-free. How are you employing a three-year experiment to make it happen (i.e., what’s your three-year plan)? Since we’re doing well with our finances, we decided we don’t have to rush to the finish line. Balancing work and life is the focus this year. The first year of our three-year plan will be 2019. We will begin traveling the US and invest half of our income. And, we’re launching a new project that will help us grow our business. The second year of our three-year plan is to bring in a partner of sorts to help us grow your new project (and subsequently our business). Scaling this new project requires more help than we have today, a necessary step to maintaining work-life balance. We’re planning to travel more of the US and then also take a trip to Europe for a few months. The third year of our three-year plan is to improve our second-year efforts by looking at the data, figuring out what works so we can continue doing more of that, and eliminating what doesn’t work to make us more efficient. We’ll be traveling around our favorite parts of the US and abroad to find a small plot of land we can call “home” in the future. What have been some challenges you’ve run into? With respect to our personal finances, we have a tendency to push the “easy” button when it comes to dinner, so we’re not always the most frugal. What have you found easier than expected? Living in a small house makes life a lot easier. We don’t spend as much time cleaning or maintaining a home as we used to. We find we’re happier than we were in the big house. The Penningtons share their 500 square feet with their cats, too. Do you think you’ll reach your goals in three years? Longer? Shorter? I think it’s going to take us more time than we expect to grow our business, but since we’re on the slow road to financial independence, we’re not all that concerned if it takes another year to get there. However, I think we’ll find our next patch of grass sooner rather than later. We’ve wanted to relocate for several years and have already identified a few places we like. What are you looking forward to once you’ve reached your goal(s)? Having the ability to take our business on the road with us is the goal, so I’m looking forward to the start of our travels 2019. Achieving financial independence will just be the icing on the cake. Is Focus More Important than Intelligence? Hi guys! We’re waiting for heavy rains and possible power outages with Hurricane Florence. In the meantime, I hope you enjoy this post I wrote last year. Every word is as true (or truer!) today and I definitely need these reminders again, so I’m republishing. Have a good (and safe!) weekend! I recently stumbled across this quote in an old journal, “Focus is more important than intelligence.” Is focus more important than intelligence? I certainly believe so, and I think the more I live and navigate smart phones and the beginning of the internet revolution, the more I realize that focus is essential to having a good life and making progress towards your goals. I’m sure I wrote it down because it resonated with me, and I felt it in my bones to be true. Also, focus is a struggle, each and every day, for me. I have two jobs, a husband who travels, kids to take to activities and appointments and help with homework, a Masters course, lesson plans, and this blog. It’s a lot of code switching. Why is focus so necessary nowadays and what can we do to get more? Cal Newport, author of Deep Work, argues that focus is intelligence. He states that “focus is the new I.Q. in the knowledge economy, and that individuals who cultivate their ability to concentrate without distraction will thrive,” in his bio. His theory is that workers who will be most sought after in our new economy will be those who can quickly master hard things and those who produce at an elite level. Both of these qualities require focus, he argues. Newport is an author and professor of Computer Science at Georgetown University, and he’s fairly young, young enough to have had social media around in college. But he’s always been very careful where he puts his attention, shunning social media from the start. “Efforts to deepen your focus will struggle if you don’t simultaneously wean your mind from a dependence on distraction,” he says. For Newport, standing in line at a supermarket is a chance to practice letting our minds wander, rather than checking our social media accounts. The more we wean ourselves from technology and constant distraction, he argues, the better we’ll eventually get at working at a deeper level. Like anything, he argues, it takes practice, and in today’s highly distractible world, it is not a common commodity to have. Author LauriePosted on September 14, 2018 March 19, 2019 Categories HabitsTags digital minimalism, focus, intelligence, Minimalism, simple living, ways to cultivate focus9 Comments on Is Focus More Important than Intelligence? Does Where You Live Affect How Much You Save? Bankrate recently reported that Americans are saving less, despite low unemployment and rising wages. And it turns out that some regions of the country are not as good at saving. On Wednesday, I wrote about the best places to live in the US. 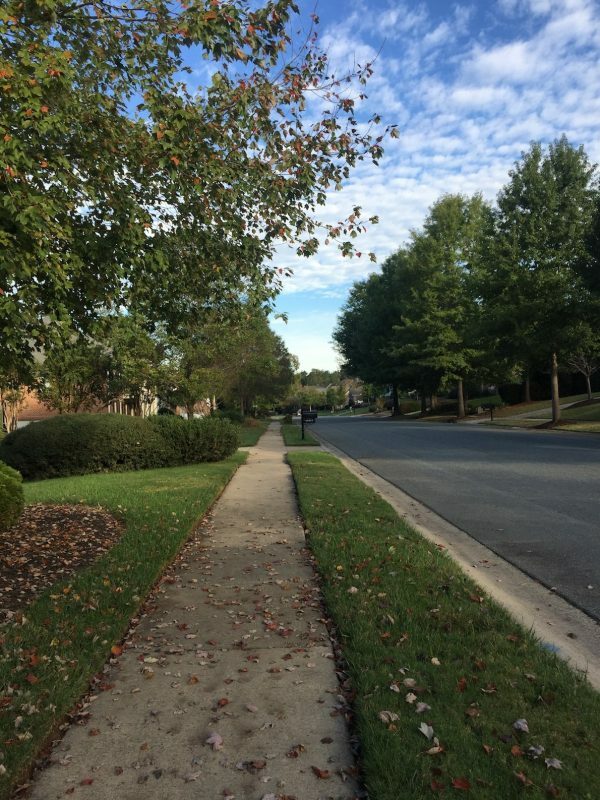 But could where you live impact your ability to reach FI, even subtly? Does where you live really impact how much you can save? How Much Do You Really Need? Author LauriePosted on June 22, 2018 February 20, 2019 Categories Money Management, Real EstateTags bankrate saving, doctors, northeast, Real Estate, saving, simple living, south, teachers, thomas stanley11 Comments on Does Where You Live Affect How Much You Save? I am a person who loves the holidays, and loves to give gifts, as I recently shared in this post. 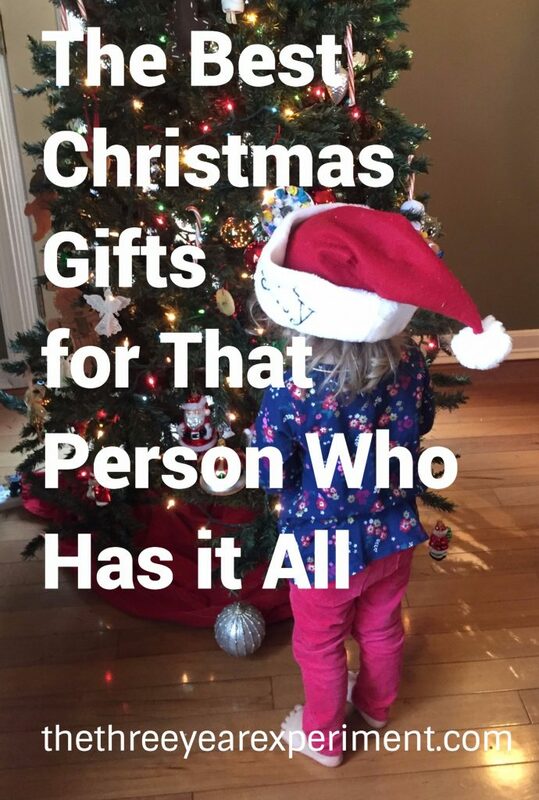 But when you’re buying Christmas gifts, what do you get for that person who has everything? 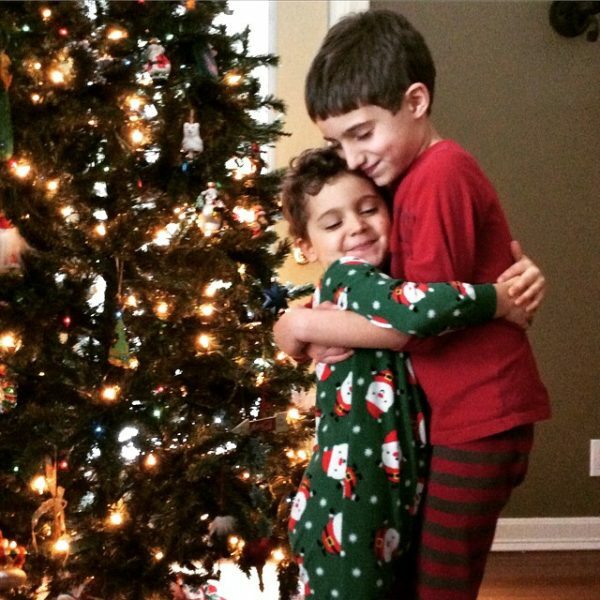 A friend of mine, Liz at Chief Mom Officer, recently wrote a wonderful post called I’m Sick of Christmas Materialism – Instead Let’s Make a Difference #ActsOfKindness. As much as I love gift giving, making a difference and helping others is what Christmas is truly about. 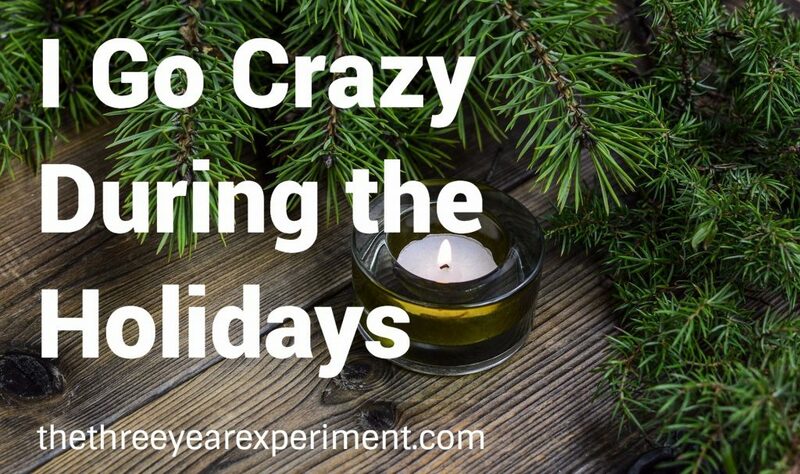 Liz challenged bloggers to think of ways to help people in need this holiday season, and several fellow financial bloggers have taken up her call to action. A complete list of bloggers and their articles about ways to impact the lives of others and spread #actsofkindness this Christmas appear at the end of this post. So if you have that hard-to-shop for person on your list, why not take an opportunity to give to others on his or her behalf? Every time someone gives to a charity on my behalf, I feel a warm glow. The Minimalists list this as their number 1 gift suggestion. It really is better to give than to receive. Below I’ve listed several of our favorite options for charitable giving this Christmas season. The first time we received a charitable donation for Christmas, I was a teenager. My uncle gave us a card that said, “A flock of chicks has been given to a family in need in your honor.” I remember giggling over the thought, and then quickly reading more about Heifer International, the organization in question. The gift of chickens quickly became the most memorable of the year. I can’t tell you the other gifts my uncle gave me over the years, but I remember the chickens vividly. I loved the idea that a family in need would not just have donations to help them once, but a flock of animals from which they could receive eggs, meat, and income for many years. Let me let you in on a little secret–I love the holidays. For me, the time from Thanksgiving through Christmas all the way to the New Year are a time of family, food, and excess. I go a little crazy for Christmas. I love to give gifts and I like to give people nice things. I spend tons of money at Christmas and throw frugality out the window during gift-giving. We way surpass the average American’s holiday spending of $800. 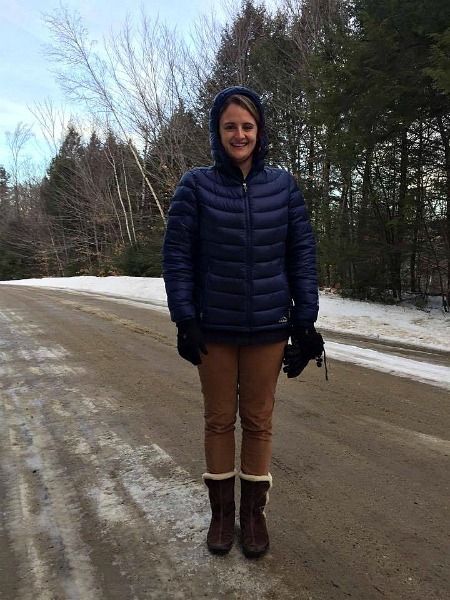 In New Hampshire, we have snowy, white Christmases almost every year, and Thanksgivings are chilly and fallish–just as Thanksgiving is supposed to feel. On Thanksgiving weekend, we put up our Christmas tree, pull out our favorite ornaments, and decorate the whole house. Then, at Christmas break, we wear cozy sweaters and overeat for several days. We spend lazy days with family members, playing in the snow, playing board games, opening presents, and listening to too much Johnny Mathis Christmas music (just kidding! There is NO SUCH THING as too much Johnny Mathis Christmas music!). This picture of my two boys gets me every time. We took it a few years ago, but it captures what I love the most about Christmas–the time we have together and the love we get to share. Yes, it’s true. It’s my dirty little secret. I go crazy with my spending during the holidays. But you know what? I love it. I love to spend money on nice things for other people. And believe it or not, I have changed my gift-giving over the years to better match my values–to use money (a little more) wisely, buy higher-quality items you can use every day, and focus less on material goods. 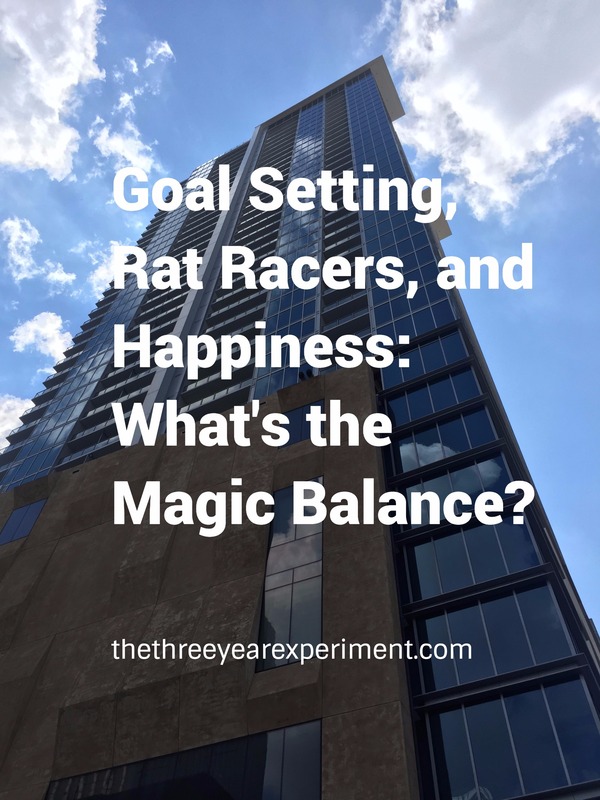 Goal Setting, Rat Racers, and Happiness: What’s the Magic Balance? Goals are great, right? They help us focus, give us purpose, and give us something to work for. But, there can be a dark underbelly of too much goal setting. When you set a goal in your life, especially a goal for financial independence, it’s easy to let it take over your life. Sometimes, we get so caught up in what’s next that we forget about what’s now. We’re so focused on our future happiness (because why else are we setting the goal, after all?) that we forget about our present happiness. So what’s the magic balance? I read a book this weekend that brought the idea of getting too caught up in the future into clear focus. The author, Tal Ben-Shahar, who wrote the book Happier, has come up with a quadrant of four archetypes for how people approach happiness. Some people enjoy the present, to their future detriment. They live for the moment, indulging in rich food and drink that will later cause weight gain and fatigue. They engage in behaviors that bring them pleasure now, like watching TV, with little regard to future costs, like not having their work done. These people he calls Hedonists. Author LauriePosted on October 6, 2017 October 6, 2017 Categories GoalsTags happier, happiness, happiness archetypes, rat race, Simple Living, Tal Ben-Shahar4 Comments on Goal Setting, Rat Racers, and Happiness: What’s the Magic Balance? Do Less. No, Do More. Happy Labor Day, US readers! Hope you’re all having a wonderful long weekend. To the rest of you, happy Monday! Hope it’s a great week. Once in awhile, a line from one of my favorite movies flits through my head. It’s a little embarrassing to admit that I love this movie so much, but there’s the truth. The movie is Forgetting Sarah Marshall. It’s the one where Kristen Bell plays a TV-star who’s just broken up with her boyfriend of five years, played by Jason Segel. He goes to Hawaii to mend his broken heart only to find his ex staying at the same resort with her new boyfriend, played by Russell Brand. It’s hilarious. In one scene, the one that stays with me, Jason Segel’s character Peter is getting a surf lesson from a stoner (Paul Rudd), and they’re on the beach, where Peter is laying on the surfboard, practicing. Paul Rudd’s character, Kunu, is urging him on. You’re never quite sure if Kunu is full of it or a secret yogi, as you watch. 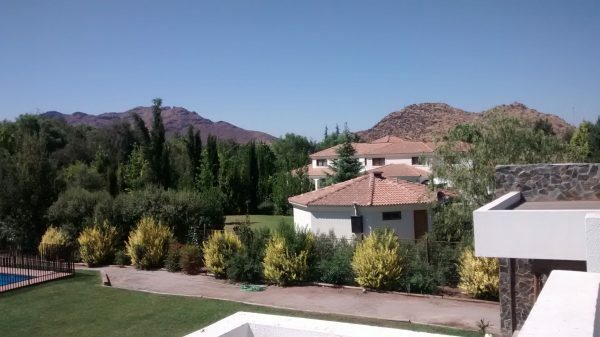 Author LauriePosted on September 4, 2017 February 15, 2019 Categories Goals, Simple LivingTags do less do more simple living travel, simple livingLeave a comment on Do Less. No, Do More. Somehow, having kids seems to bring, at least in Western households, so many toys, books, clothes, and activities. 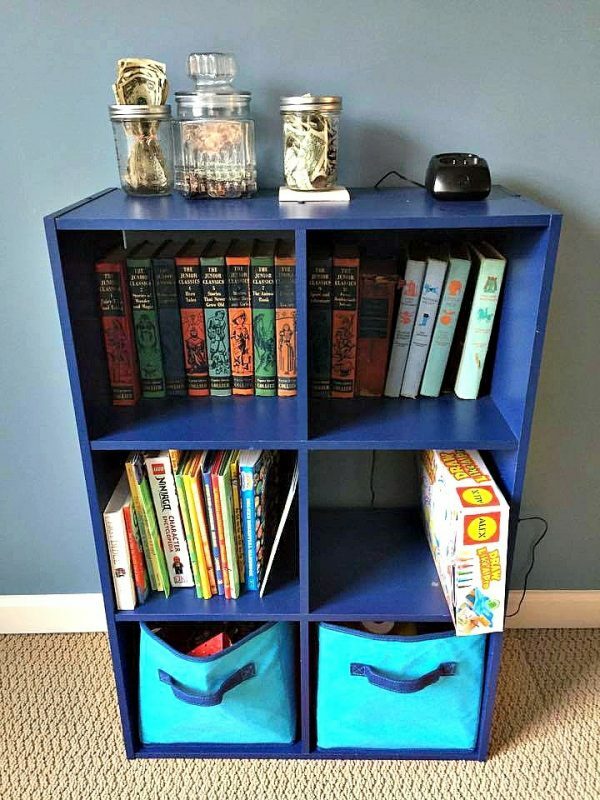 Our family is working towards location independence at the end of three years and so, in preparation, have begun helping our kids adopt minimalist principles in our home to lessen their dependence on stuff. Our society has definitely bought into the philosophy that more is better. Ironically, though, especially for our kids, more stuff turns out to be worse. Sara Blakely of Spanx© fame once said in an interview that she spends about 45 minutes each morning driving around the streets of Buckhead, the upscale area in Atlanta where Spanx headquarters are located.